But there are some people who are going to want to drink some beer tonight. An inordinate amount of them might be wearing some shade of green. Chartreuse, perhaps. Here’s Barrel Head Brewhouse, an equal-opportunity watering hole for beer, wine and a multitude of Manhattans—but it’s only the beer that they’re brewing themselves—now open. Eventually, members of your group may start splintering off with... new friends, and retreating to a pillow-covered bench upstairs. Smile. Shake your head knowingly. Let it all happen. But this place isn’t only that. It’s almost like the diner version of a brewery. Brunch will be a thing soon. Solo lunches at the bar with a pint and some fish-and-chips: that sounds pretty good, too. 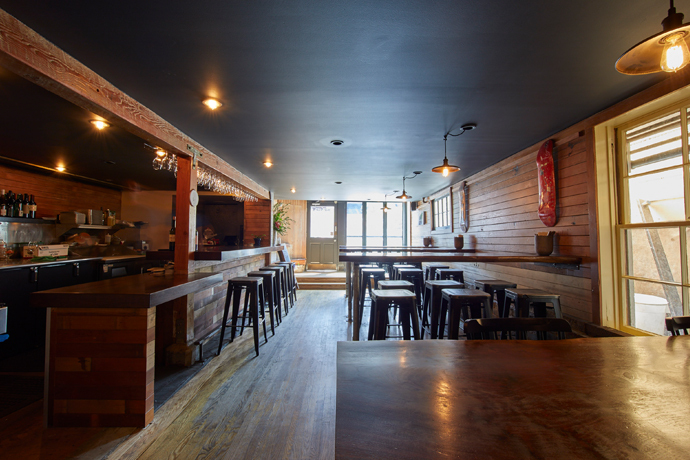 Or you could even come here on a dinner-and-drinks date, full of poutine and build-your-own Manhattans, made with everything from tequila to rum.